For the longest time, I loved the idea of all white rooms. However, the practical me always picked dirt proof colors so children of family and friends were allowed to visit without me wrapping everything up in plastic. As much as I adore the idea of a white room, I can also see myself cleaning 24/7. That, to me, is not very savvy at all. 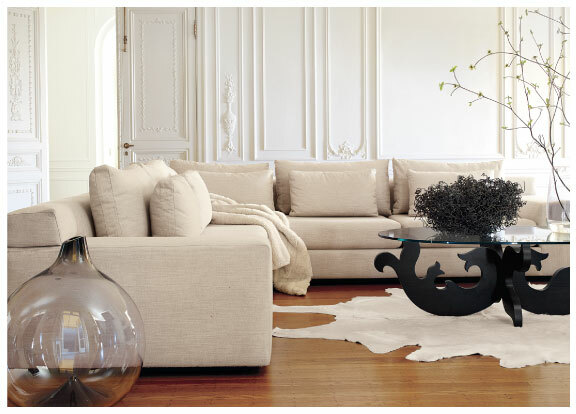 What do you think of all white rooms? *Don't forget to enter $55 gift card giveaway for CSN stories on the side bar. Very pretty but I'd totally be afraid of spilling something somewhere lol. Love them, but I would never trust myself with one! it's an accident waiting to happen. i LOVE it, but like you said, very impractical. i've the tendency to turn the room upside down. I'm with you and my husband would quickly make a mess! I could never pull that off, but I like it! I think they are totally in right now. I just saw a few other white room posts today. They are very sophisticated, I think. I love using a lot of white at home but somehow, when there's too much white I always have the feeling the room looks cold... These are really beautiful, though. I love all white rooms! They are so beautiful to look at, but I'm afraid I could mess one up easily. I'm a klutz. Lol. I agree with you. White rooms are the stuff dreams are made of, and terrible to maintain in real life. The one thing I will say about white furniture is you don't need to worry about rubbing out dye with Oxyclean, a problem I've encountered with darker colors. They certainly look serene and clean. 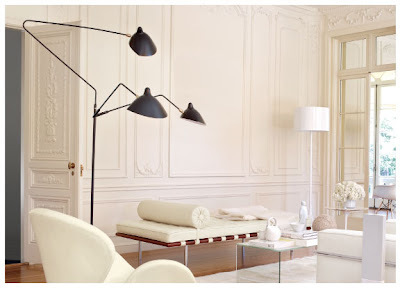 The look is truly serene but I think I will go mad if there are little children around in that white room. I definitely love all white rooms and I have for a long time. All white is great...for the right home. And it is a great back drop for quick changes! It's beautiful, like a work of art...but doesn't seem comfortable to live in. I like the look but like you said they are not practical! I love, love white rooms. They are so ethereal and I can breathe just by looking at them! I love the idea of white rooms too but it needs high maintenance..
white rooms are beautiful to look at but being the mother of a little one they also make me nervous. ikea sells a white leather couch and they say it's kid-friendly. i'm wondering how exactly that can be. hubby and i were seriously considering it as the color would brighten up our living room. hmmm.